Wolf must choose to either take the power to survive, or live for a past that nearly killed her. Lieutenant Wolf doesn’t let emotion get in the way of performing her duty. Putting the Alley first has kept her safe and free. Yet, when she’s asked to kill an ally of the man who sacrificed himself to save her life, the mission weighs heavily on her. Curious as to why all the Alley’s information on the target came from the same source, Wolf arranges to meet with their informant, Marcus. She quickly discovers the vampire has engineered not only the mission she’s been assigned, but that he counted on her coming to see him. Speaking on behalf of a mysterious Paragon vampire, he offers her an alliance and power enough that she will never have to watch someone else die for her. The price of his tempting offer however, is to kill a good man and a friend of the man she loved. This novella is available on most eReader platforms. Check your favourite eBook store for this title. Are They Whiny or Do They Sparkle? I’ve been a huge fan of the vampire genre for a long time and have done research about vampire (or vampire-like) legends from around the world to help with my writing. Recent pop culture trends – whether it be TV, Movies, or books – have stumped me. Before continuing, I’ll give credit where it’s due. Some of these have found a mind-boggling amount of popularity. I’m thrilled for their creators and applaud their success at finding a niche for their product. That being said, it is not what I love about the genre. My personal annoyances strip vampires of being a predator, make them whiny, and attempt to take creatures who have been around for hundreds of years and treat them like they are no older, wiser, or more experienced than other characters. It is my goal to create Lost Infernal as a story that both does not put the genre into old clichés while maintaining what people love about the creatures. Lost Infernal‘s vampires are as diverse as the humans they hunt. Some struggle to maintain humanity while other embrace the monster. I hope you enjoy my re-envisioning of the legend. I am shopping book one of Lost Infernal around to publishers/agents. 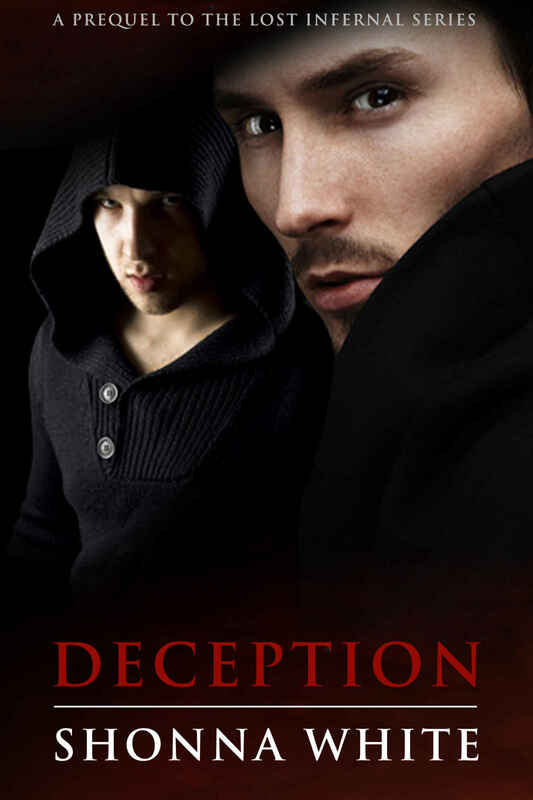 Deception is a short prequel introducing you to the world of the vampire hunters, the mythology surrounding their targets, and a few characters. More will come, but the industry is hard to break into. Really hard. 99% failure rate on submissions sort of hard. Bear with me for the time being. The series is coming one way or another. Lost Infernal has spent the last year in consideration by some major publishers during open submission times, competing against THOUSANDS of other manuscripts. While it’s made it into the final round of considerations each time, it hasn’t quite made it into the selected manuscripts. It’s flattering to get so far and realistically when you’re going against 5,500+ manuscripts where only 15 or so get picked, making it into the final round is amazing – but not making it is like face planting just before the finish line.